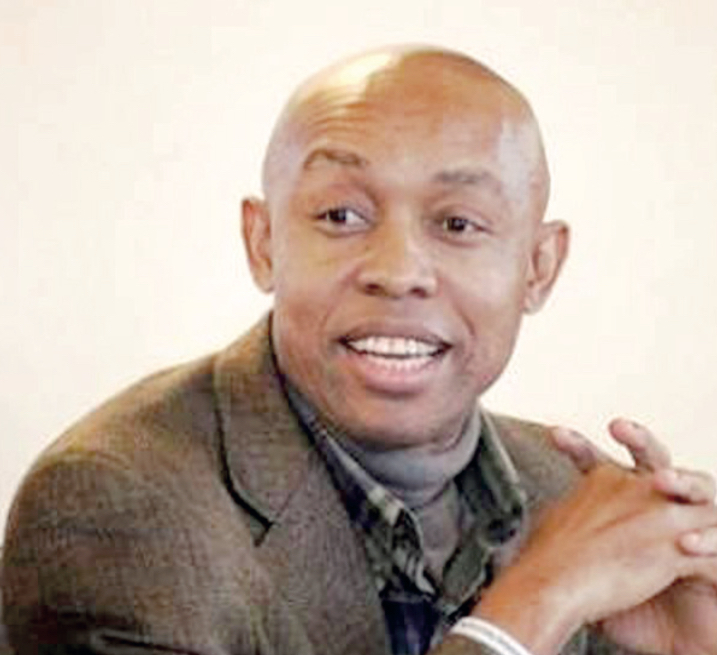 Professor Chidi Odinkalu is the former chairman of the National Human Rights Commission (NHRC). He speaks about Nigeria’s lost opportunity to legitimise innovations to enhance credibility of the elections, possible dangers lurking around 2019 and need for vigilance. 2019 is a significant year for Nigeria. It is the 20th anniversary of the return to civil rule and also an election year. How do you firstly assess the two decades of democracy in the country, and secondly, what is your expectation as we go to the polls? The year 2019 is indeed significant for Nigeria for two reasons not one. In February, the country will have the fifth in the cycle of elections since 1999 to determine who governs Nigeria and under what programme. That is a significant milestone. It is the longest period of unbroken civilian rule in the country, much longer than any period of unbroken civil or military rule. That is one. The second is 19 July 2019 will make it 10 years since the police extrajudicially executed Mohammed Yusuf, founder of the Boko Haram movement. It is not out of place to speculate that his followers may seek to use that anniversary to up the ante or enact some spectaculars. The anniversary of Yusuf’s murder will come shortly after the inauguration of the government that will result from the first. These are two good reasons why 2019 is a year in which Nigerians should be vigilant. Prior to now, Nigerians were expectant that the Electoral amendment bill would bring some level of credibility to elections in the country. As it turns out, President Muhammadu Buhari withheld assent to the bill four times. How do you think this would impact the general election? The president repeatedly withheld assent, in the full knowledge, I suspect, that the National Assembly did not have the arithmetic to override him. That has proved to be the case. If he had calculated that the National Assembly could override him, my sense is that he would have been more conciliatory in the way he went about the vetoes. As it is, we have lost the opportunity to bed in legislatively some of the innovations that enhanced the credibility of the elections in 2015. The electronic transmission of results from the polling units to central collation, for instance, would have been a major advance in ensuring more credible polls. As it is, INEC will now be compelled to organise the elections on the basis of the 2015 Electoral Act but with a much more constrained administrative and legal atmosphere. INEC is more poorly funded at the moment, the jurisprudence from the 2015 cycle of elections panned some of its innovations and the conflict and security environment in the country is much worse. There are concerns over the security situation in the country, which INEC has also acknowledged. The fear of an imminent strike by organised labour is also there and the Academic Staff Union of Universities (ASUU) is on strike. In all these, some people insinuate there is a ploy to cause confusion and have the election postponed. What is your take on that line of reasoning? Nigeria’s elections have historically been tensed and violent. In 2011, if you recall, the then President Goodluck Jonathan constituted the Sheik Lemu Panel to look into the post-election violence. The panel in its report traced the history of election-related violence in Nigeria back to the first elections in the colonial territory in 1922. It said violence had become a culture of elections in Nigeria and the nature of this violence evolves from election to election. What we have done at the level of civil society in the #NigeriaMourns Coalition is to set up a Violent Incidents and Election Atrocity Fusion Centre (VIEAFUC) to track what could happen with violence and try and prepare for the possibility of making those who want to profit from it realise that there could be a high price for that in this cycle. Still talking about credibility of the election, INEC has reportedly shut out election observers from its situation room. Will this impart on the polls in any way? Let me clarify, INEC distinguishes between election observers and election monitors. Only INEC can monitor but Non-Governmental Organisations (NGOs) and internationals can observe. Now, the problem with Nigeria’s elections historically is not in the voting, it is always in the collation and counting. The only way to guarantee that the process is credible and that figures announced are faithful to the votes cast is to ensure that accredited and credible observers track it all the way from the polling unit, through the intermediate collation points at the ward, local government and state levels, to the headquarters in Abuja. So, any effort to exclude observers from collation or the situation room, in my view, would be adverse to the credibility of the ballot. INEC has recently inflicted some serious injuries on its own credibility. So, it needs to get this one right. The ruling party has been accused of engaging in vote buying with its ‘trader moni’ scheme. What is your reaction to that? Government programmes to end or alleviate poverty should generally be supported. However, the suspicions about ‘trader moni’ are difficult to easily bat away. I would have thought that government could more profitably have institutionalised ‘trader moni’ through the Bank of Industry (BoI) or even the Central Bank of Nigeria (CBN), working with community banks. My general view is two-fold. First, that the position of Vice President is a rather important and serious constitutional responsibility and going around doing these hand outs may not be the optimal use of the role of the office or of its occupant. Launching it once or even twice in different hemispheres of the country may be okay, but going from state to state to do these handouts, especially so close to the elections, in my view diminishes the office and makes it more likely that the allegations of vote buying will be more difficult to bat away. Secondly, the optics of the way this is being organised so close to the elections don’t look too good. The Nigeria military in recent times has been under criticism over alleged rights abuses. Not long ago it accused Amnesty International (AI) of trying to demoralise its personnel and undermines the country. What do you make of that? Amnesty International, Nigeria is doing its job. The military should try and do theirs which is to defend Nigerians against enemies. It is finding enemies in the wrong place. Early last year, it was humanitarian workers in the North-East. Early December, it was UNICEF. Then the week after that was Amnesty International Nigeria. It is now Daily Trust. This is just messed up. All this while, Boko Haram has been taking down one military outpost after another, decimating our units and massacring hundreds, if not more, of our military assets. The military have become their own worst enemies in this fight against insurgency and insecurity in the country. The military is launching Operation Egwu Eke III nationwide at a time it seems to be struggling to contain the insurgency in the North East. Would it not have been better to concentrate this exercise in the North East? And, you ask yourself, what is the Police established to do? The constitution recognises that the Army may assist civil authorities – like the police – to maintain peace. But a situation in which the police is retrenched from internal security and the responsibility taken over by the military is well beyond that contemplated by the constitution. It promotes the idea that somehow the country can shoot its way out of the consequences of our very many failures of leadership. That is worse than fantasy. Right now, that is where we are. Over time, you have voiced out reasons why you think President Buhari should not do a second term. Are there reasons why you think Atiku Abubakar is the messiah as the race is obviously between APC and PDP? It’s not my business to tell Nigerians who to vote for or not vote for. President Buhari is on his first term and constitutionally, has the right to run for a second term. It is up to Nigerians to decide whether or not he should get it that is assuming INEC does a credible job of organising decent elections. I am not so arrogant as to claim a capacity to expropriate from Nigerians their entitlement to make that decision. All I can is one vote and a voice to sell my views, should I wish to do so. That said, I have been critical of the Buhari administration, yes; just as I have been of the dispensations before him. There is a toxification of the political environment by the Buhari supporters who seem to promote a notion of the infallibility of their man and the idea that anything wrong with his administration is the work of some other people. Their response to criticism of government is name-calling. The presidency is overpopulated by media hands and hacks. Then there is the Buhari Media Centre which just dishes abuse and vitriol and quite often also threats of violence. That is a major part of the Buhari legacy. The South-East and South-West zones are presently at loggerheads over 2023 and which zone Buhari will handover to. Is it necessary? Look, Nigeria is an interesting piece of real estate and all manner of things happen in the country’s electoral arithmetic. So, I will not rule out the kinds of assumptions that are in your question. Speaking for myself alone and none other, however, I can only say that I am not in the business of encouraging politicians to mistake themselves for some deity. What do you make of INEC’s position on IDPs voting during the election? INEC has clarified that it is IDPs within the country that will vote. As you well know, there is no legal authority for INEC to organise ballots outside Nigeria. However, the mistake is the assumption that IDPs only exist in northern Nigeria where there are serious patterns of deadly conflicts. The fact is that we also have serious displacement in many parts of southern Nigeria caused by drastic ecological conditions as well as by some conflicts. Anambra State has tens of thousands of IDPs displaced by erosion in Nanka for instance. Ndiegoro in Abia is still there as is Njaba in Imo. There is still massive inundation in many parts of Bayelsa. But we seem not to reckon with these, focusing only on conflict-related displacements in northern Nigeria. In reality, the consequences are the same irrespective of how the displacements arise.